RiskDiscovered is a premier provider of Primary Source Verification in Asia mainly focused in Pakistan and Afghanistan. The company verifies thousands of immigration, visa, and employment applicants every month. It identifies hundreds of red flags and contributes in saving the invaluable reputation of their clients. 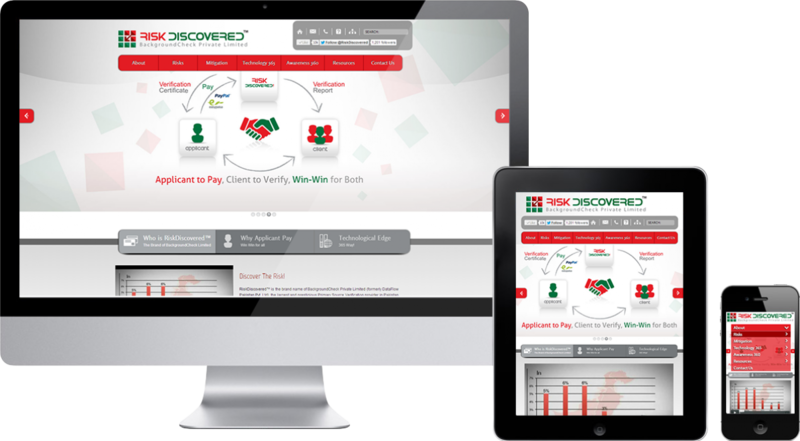 We were approached by RiskDiscovered to help them design a new website after their rebranding. The goal was to provide a user experience that must enhance the critical nature and importance of verification and screening of candidates. We worked closely with RD staff to make sure that the site’s user experience was just spot on for their audience.